Using the healing properties of flower essences is an ancient art, spanning many cultures. Flower essences are safe and powerful catalysts that anyone can use. Not only do they bring clarity to the conscious mind and develop many intuitive abilities, but they also resolve negative beliefs and directly affect us at the level where we make decisions about our emotions, health, vitality and relationships. Flower essences unlock our inherent positive qualities such as love, courage and joy. Naturopath Ian White has taken this age-old study and applied it to the flowering plants of the Australian bush, showing that the energy and power in the ancient lands of Australia are manifested in the healing properties of its plants. 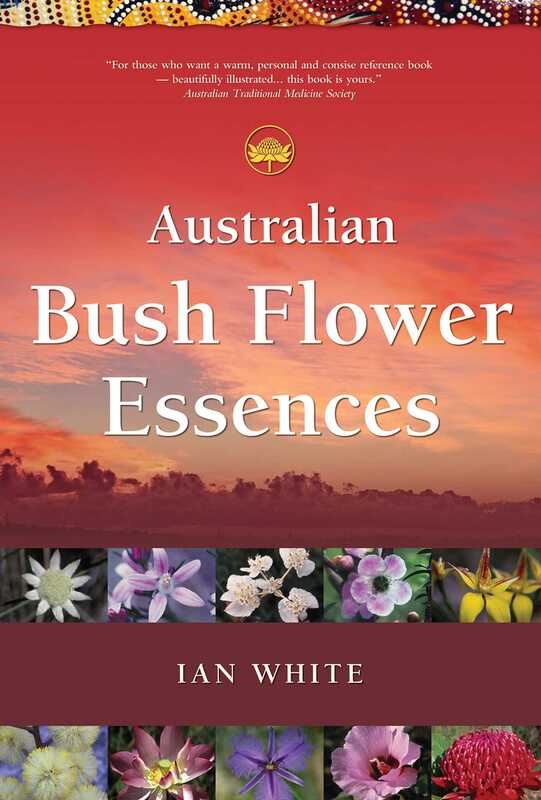 In Australian Bush Flower Essences, he gives an informative yet personal picture of fifty bush flower essences from all over the country, as well as detailed information about their preparation and use in all areas of healing. He also provides a bibliography of important works about natural healing and an index of illnesses and their treatment. Fully illustrated, Australian Bush Flower Essences is the most comprehensive and farreaching book yet written about this important modality. It is designed to allow anyone to feel competent and confident in using these essences to bring about health, harmony and well-being. Ian White is a highly respected practitioner and teacher of naturopathy and kinesiology. His family have been natural health practitioners specialising in herbal medicine for five generations.